The discovery of 9 young wolves in the federal state of Mecklenburg Vorpommern raised the discussion about the coexistence of humans and wolves in the state’s parliament. The speaker of agricultural concerns of the CDU party, Mrs. Schlupp, stated that it is unresolved how the pasture feeding will continue with a rising wolf population. 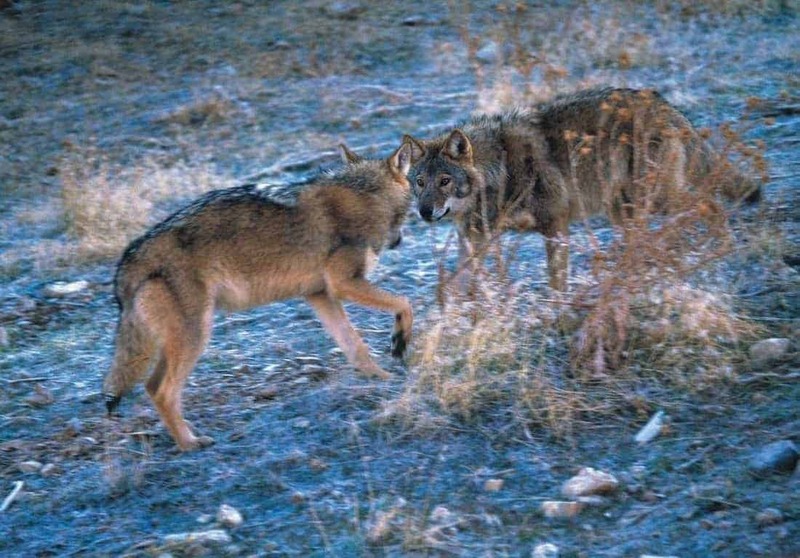 Since the first documentations of wolves snatching cattle and horses, the question of wolf-secure fences for these animals and to get reimbursement in the case of loss was asked, says Mrs. Schlupp. Farmers would rate this as too expensive she continued. The liability in the case that humans get injured due to a animal herd which was scared up by a wolf, is also a matter of discussion. Another issue is how humans are supposed to react if they face a wolf who has lost its fear of people. Those issues, according to Mrs. Schlupp, lead to the support of the CDU-party to limit the number of wolves in the federal state through hunting as well as their inclusion to the hunting law. Anybody who gets physically or financially harmed by wolves is supposed to be reimbursed. So although the wolf is threatened in most parts of Europe and there is no evidence or proof that a wolf ever harmed humans, alleged threat scenarios pop up to darken the atmosphere and the mood around wolves. In particular the wolves bring back the balance to ecosystems so it is necessary to learn more about their role in an ecosystem before such far reaching and one-sided decisions are made. Living together with such wild animals as wolves is definitely possilbe without culling them to protect the farmer’s animals if the right arrangements for herd security are met. It is possible to averse condition wolves to sheep/cows/horses …. and wolves will `tell’ others of their kind ……… in North America their main food source is mice and other small animals ……!